The nature of God is such that he uses things of the senses to lead us to Him and things heavenly. Our Lord used a human body to reveal Himself to us and earthly things as matter for the Sacraments. The solemnity of the Mass is a reflection of the Majesty of God, who is not earthly but heavenly and lives in the Kingdom of Heaven, with much solemnity and angels gathered around singing His praises for eternity. To reduce the Catholic Religion to an earthly Protestant sect is to reduce God to the level of man and to strip Him of His glory. This entry was posted in Catholic, Catholic Church, Church crisis, Holy Sacrifice of the Mass, Novus Ordo and tagged Catholic, Catholic Church, Crisis in the Church, Holy Mass, Quotes from the Saints, Traditional Latin Mass on July 31, 2015 by damselofthefaith. My dear friends, my dear brethren: It seems to me that a day such as this could not be better chosen for the conferral of ordinations. If all the Sacraments give the Holy Ghost, it is indeed true and accurate to say that the Sacrament of Ordination confers the Holy Ghost in a very special way upon those who, in the future, will be called upon to pour Him forth, to give Him to souls in the Sacraments which it will be their duty to bestow on the souls confided to their care. Therefore we rejoice today to be able to give the Sacrament of Ordination to the diaconate to one of our seminarians, as well as Ordination to the minor orders: to the two first minor orders, and the second two minor orders. And we shall take advantage of these few moments to speak to you of what the Feast of Pentecost suggests to us. Let us attempt to imagine to ourselves what the day of the Ascension may have been like, and the moment when Our Lord ascended into heaven. The Apostles, seeing Our Lord ascend towards heaven and disappear in the clouds, kept their eyes fixed on heaven. . . and we can easily understand them. These men who had lived with Our Lord must certainly have had this sentiment – I should say, this instinct, if one may say so, to know and to understand that they had had in their presence heaven itself. For what is heaven if not Our Lord Jesus Christ Himself, the Word of God? They did indeed, then, have heaven in their very hands, after a fashion: they could taste it! And this presence of Our Lord beside them must have enchanted them, and given them an unalterable peace and serenity, an absolute confidence. But now Our Lord escapes from their view and disappears. And that is why their eyes remained fixed on the heavens. Angels came to say to them, “What are you doing here? Why are you waiting? One day Jesus will return even as He has ascended.” So the Apostles gathered in the Cenacle to await the coming of the Holy Ghost. For that is what Our Lord wished to give them. Heaven had disappeared from their eyes and almost from their hearts. Now it is indeed heaven that Our Lord wished to give them, and to give them through the Holy Ghost: for He is nothing other than that. The Holy Ghost in our hearts, this is heaven in our hearts… paradise begun in our souls! If we understood well who the Holy Ghost is and the grace which God gives us through the Holy Ghost from the day of our Baptism, and in all the Sacraments we receive, and especially in Holy Communion, we should understand that it is heaven that we receive. The Apostles were filled with the Spirit of Jesus at the moment of Pentecost, and thus heaven took possession of their souls, and of their hearts, and never again did they separate themselves from this Holy Spirit, the Spirit of Jesus. They then understood all that Jesus had told them. They understood what heaven was in relation to earth, what the spirit was in relation to the flesh, what these ineffable goods, these eternal goods were next to temporal things. They understood – until then, they had not understood. And what was the influence of the Holy Ghost in their souls? Saint Paul describes it for us twice – once when he enumerates the different fruits of the Holy Ghost in souls. I will not list them all for you, but he speaks of patience, kindness, meekness, peace: fruits of the Holy Ghost in our hearts. And he repeats it when he speaks of the benefits of charity, the qualities of charity: Caritas benigna est, caritas patiens est; caritas omnia suffert, omnia credit, omnia sperat. Charity is patient, charity suffers, charity believes, charity hopes, charity loves. . .charity remains forever. This is what Saint Paul enumerates and what he describes of charity and the fruits of the Holy Ghost. And that is what the Holy Ghost is; it is in that that we recognize whether we have the Holy Ghost in us – if we are humble, meek, charitable, peace-loving: these are the fruits that Our Lord gives to those who receive the Holy Ghost. This Holy Ghost Whom we have within us: what does He give us? What does He inspire in us? Let us listen to what the Acts of the Apostles have to recount. The Acts of the Apostles say that, as soon as the Apostles had received the Holy Ghost, they spoke… they spoke. They had received tongues of fire which signed them, which marked them, which manifested the descent of the Holy Ghost upon them; but these tongues of fire designated nothing other than that henceforth they had hearts of fire – hearts of fire which forced them to speak. And speak of whom, of what? Of Our Lord Jesus Christ – for it is the Spirit of Jesus that they had received. -I shall send you my spirit. . . MY spirit.” So it is the Spirit of Our Lord, and they spoke of Our Lord. And the sentence perhaps the most characteristic of the discourse of Saint Peter when, filled with the Holy Ghost, he could not restrain himself from speaking, from preaching the Gospel, from preaching Our Lord to those who surrounded him. . . He said: “Non est in alio aliquo salus.“ “Non est nomen sub caelum datum hominibus per quem omnes salvi fieri debent.” There is no other name by which we must be saved. There is no name other than that in which all men must receive salvation. This is the essential truth, the capital truth, the truth which summarizes all the truth of the Church. The Church was founded only for that: to bring salvation to souls through Our Lord Jesus Christ, in Our Lord Jesus Christ. And consequently, it is the duty of the Church, and it will be your duty, my dear friends, the duty of each one of you, dear friends, when you are priests, when you will have the mission of preaching the Gospel, to preach the reign of Our Lord Jesus Christ. It is with that that the Holy Ghost inspired the Apostles: the reign of Our Lord Jesus Christ. He is King! He has the right to reign. . .He has the right! And it is an historical fact – His presence in history can no longer be ignored by men; no man can ignore that Our Lord came to save him. And those who know that Our Lord came and, consequently, that God came among men to save us, must accept His reign: the reign of Our Lord. Not only His reign in individuals, in all persons; not only His reign in each one of us: but His reign in the family, in the home. . . but His reign in the State! Ah, here it is something much more difficult: to admit that Our Lord ought to reign over the nations. He is the King of all nations! He it is who will judge – who will judge all princes and kings. This is spoken of already in the Psalms. And consequently we ought to be heroes of the kingdom of Our Lord Jesus Christ. That is what we must preach everywhere – that there will be no happiness here below without the kingdom of Our Lord Jesus Christ; that no good will be done here below without Our Lord Jesus Christ. We can do nothing without the grace of Our Lord Jesus Christ. It is He who is the source of all our meritorious acts. We can merit nothing whatsoever toward heaven if we have not in us the grace and spirit of Our Lord Jesus Christ. These are truths which are evident for Christians, evident for the Church – but which men do not want to receive and which many Catholics no longer want to receive. They find it inadmissible to say that there is no salvation outside of the Church, that there is no salvation outside of Our Lord Jesus Christ. And quite recently, I read in the report of the episcopal synod that one could accept that there are possibilities of salvation through every religion. Now this is absolutely false, contrary to all the doctrine of the Church. There is NO possibility of salvation through a false religion, through an erroneous religion. There is salvific value only in the grace of Our Lord Jesus Christ, and consequently in the Catholic Church. And all those who are saved will always be saved through the Catholic Church, even if they are of other religions, even if they have lived in other religions. They cannot be saved, they cannot enter heaven unless through Our Lord Jesus Christ. There will be nothing in heaven other than the Mystical Body of Jesus Christ: that is obvious. How could anyone who is not a member of the Mystical Body go to heaven? For Our Lord Jesus Christ IS heaven! He is God, and God is heaven. Consequently whoever is not united to Our Lord will not be in heaven, will not go to heaven – no one who is not a member of the Mystical Body of Our Lord. These are truths of which we must remind ourselves. And I believe that I can say for certain that if, unfortunately, our seminary and our work here are persecuted, it is precisely because we affirm these truths. Because the world no longer wants to hear these truths. And because one must conform oneself to ‘modern man,’ one must listen to ‘modern man.’ What is this ‘modern man’? Who is he? What does he represent, if not often the man who does not believe in Our Lord Jesus Christ, and who does not want to believe in Our Lord Jesus Christ. . .who refuses the reign of Our Lord Jesus Christ. . .who refuses His grace? Men no longer want to believe in the supernatural; they no longer want to believe in the grace of Our Lord. They now believe only in man – in man, who now by his science seems to want to govern the world in the place of God. As for us, we affirm the contrary: the reign of Our Lord Jesus Christ. We want Him to reign: and that is why we adore Him, and seek to adore Him in a manner worthy of Him, worthy of His presence in the Holy Eucharist. That is why we love our ceremonies, why we are attached to this Liturgy which truly expresses what we think in our hearts, what we think in the depths of our souls: that Jesus is present in the Holy Eucharist and that we honor Him as God. He is our King: He has the right to our reverences, He has the right to our genuflections, He has the right to our bows; He has the right to songs worthy of Him, worthy of heaven, which recall the chant of the angels. This is what we wish. We wish to honor Him also in our faith, in the doctrine we teach to the young men who come here to receive it: to receive the true faith, the doctrine which teaches us that God is everything and that man is nothing, that Our Lord Jesus Christ is the only means of salvation, and that He is the only means of salvation that we must preach to all those who wish to be saved. This is what we affirm; this is what we believe. But that goes against the current of present-day ecumenism, which wants precisely to level this religion, to bring our Catholic religion down to the level of the Protestant religion and of other religions. That we shall never accept. . . never! There is no God other than Our Lord Jesus Christ. We know neither Luther nor Buddha nor those other heads of religions who are and were merely inspired by the devil to turn men away from the truth and from Our Lord Jesus Christ. We want to consider Our Lord as our King. We want Him to reign in our homes, in our families, in our states. We shall never accept that, in our states, all religions be placed on the same level. Without doubt this is impossible to wish for at once; but we must retain the principle. Otherwise there are no more public rights for the Church: those public rights which give the Church powers in civil societies. The Church is a society which has powers in the civil society, which ought to be recognized by the civil society. Certainly in our time, through the malice of men, these powers are no longer recognized, or very little. And alas, even in the countries where they are still recognized, these countries are persecuted by those who ought rather to defend them! Who armed the hand that killed Schussnig? Who armed the hand that killed Garcia Moreno? Who harasses Franco and who harassed Salazar when they were Christian men of state who wanted Our Lord to reign in their countries? They are the ones who are persecuted! They are the ones who are investigated! They are the ones who suffer assassination attempts! Because they want Our Lord to reign in their countries. Why was Joan of Arc burned? Because she wanted to establish the reign of Our Lord in our country, in the nation of France. This is what we must think; this is what we must believe. And this persecution which we are undergoing today is nothing other than that; it must not be placed on any other plane. It is not on details that we are attacked. We are attacked because we want the reign of Our Lord Jesus Christ, the social reign of Our Lord Jesus Christ; because we affirm as much, because we do all that this reign might be established – that the reign of God, the reign of Our Lord might be established, the reign as well of the Blessed Virgin Mary. That is why we are persecuted; we know it well. And particularly by those in the Church who collaborate with the enemy. Unfortunately among those who collaborate with the enemy there are some who have important posts in the Church and who, through their important posts, strive to compel us as well into this pact with the enemy; who try to draw us into compromises that are absolutely inadmissible and that are contrary to the royalty of Our Lord Jesus Christ, contrary to the honor of God, contrary to the honor of Our Lord and of the Blessed Virgin Mary. And that we do not want… none of these intercommunions, for example, of ‘eucharistic hospitalities’ as they are now called. These are all blasphemies and sacrileges which we cannot accept. “Quis ut Deus?” This is what we must say. “Quis ut Jesus Christus?” Who is like Our Lord Jesus Christ? This is what we must believe. This was the cry of Joan of Arc, the cry of Saint Michael the Archangel that she repeated, and it is this that we ought to repeat, that we ought to keep ever in our hearts. Whatever the persecutions that we may undergo, we must remain united to Our Lord, united to the Blessed Virgin Mary; united to Our Holy Father the Pope, united to all the bishops of the Church. But perhaps sometimes, in being united to them, at the same time united against them in a certain manner, if they say things which are inadmissible. If on the one hand they say acceptable things and on the other hand they say inadmissible things, we shall be with them when they say admissible things, but we shall be against them when they say things which are inadmissible. For they are destroying themselves, and they are destroying the Church. And we want on the contrary to build up the Church, to construct it on the unchanging foundations, not on foundations of our own making; on foundations such as those of which I have just spoken to you, those which are inspired by the Holy Ghost, and have always been inspired by the Holy Ghost. Such is our desire. Indeed, our goal is none other than that. And we ask today of the Holy Ghost, and of the Blessed Virgin Mary, who was filled with the Holy Ghost, to keep us ever in this faith, in this love, in this charity, in this unity. We are not seeking to add anything to the unchanging faith. If God gives us the grace to follow tradition, the grace to remain in the light of the Holy Ghost, we shall not take glory in this, but we shall pray that God grant that this light shall illumine once again, as of old, all the nations of Europe and the entire world. This entry was posted in Archbishop Lefebvre and tagged Archbishop Lefebvre, Crisis in the Church on July 29, 2015 by damselofthefaith. The error must be condemned, never the person. 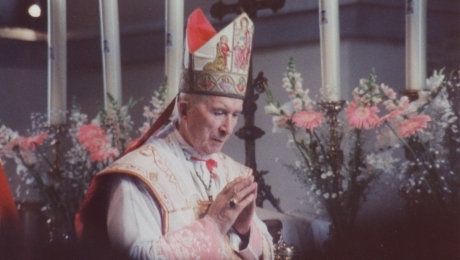 The gentle disposition of Archbishop Lefebvre radiates forth from these words, the words of a man who loved the True Catholic Faith with all of his heart. We must defend the Church with love for it is through love that men will know that we are disciples of Christ and children of His Church. This entry was posted in Uncategorized on July 27, 2015 by damselofthefaith. What is the Christian Knight and what are his virtues? The Knight is an honorable and upright Catholic that is faithful to the laws of God and the Church, his true earthly kingdom. 1st. Before all, with pious remembrance every day to hear the Mass of God’s Passion. 2nd. To risk body and life boldly for the Catholic faith. 3rd. To protect Holy Church with her servants from every one who shall attack her. 4th. To search out widows and helpless orphans in their necessity. 5th. To avoid engaging in unjust wars. 6th. To refuse unreasonable rewards. 7th. To fight for the deliverance of the innocent. 8th. To pursue warlike exercises only for the sake of perfecting warlike strength. 9th. To obey the Roman Emperor or his deputy with reverence in all temporal things. 10th. To hold inviolable the public good. 11th. In no way to alienate the feudal tenures of the Empire. 12th. And without reproach before God or man to live in the world. This entry was posted in Chivalry and tagged Catholic on July 25, 2015 by damselofthefaith. Miraculous Blood is not the Precious Blood. Neither is it like the unassumed Blood of the Passion. For that had once been Precious Blood, and had only ceased to be so through the special will of our Lord, whereby He willed not to reassume it at the Resurrection. The Host has miraculously bled at Mass, to reassure men’s faith or to cause a reformation in their lives. It has bled in the hands of Jews and heretics, as if resenting sacrilege, and striking awe into their souls, like the deep fear which fell upon Jerusalem at the Passion. Crucifixes have sweated Blood to convert sinners, or to portend some public calamities, or to show forth symbolically the ceaseless sympathy of our Blessed Lord with His suffering Church. But this is not Precious Blood, nor has it ever been Precious Blood. It has never lived in our Lord. It is greatly to be venerated, inasmuch as it is a miraculous production of God; and it appeals especially to the reverence of the faithful, because of its being appointed to represent in figure the Precious Blood. If the Angel, who passed at midnight over Egypt to slay the first-born, reverenced the blood of the Paschal lamb sprinkled on the door-posts of the Israelites, simply because it was a type of the Blood of Jesus, much more should we reverence the miraculous Blood which issues from the Host or from the Crucifix, as a higher and a holier thing than the symbolic blood of animals. Nevertheless it is not Precious Blood, nor is it to be adored with Divine worship. Perhaps this is enough to say of the doctrine of the Precious Blood. There are many other interesting questions connected with it. But they are hard to understand; and, although no minutest detail of scholastic theology is other than fresh fuel to our love of God, yet it would not suit either the brevity or the plainness of this Treatise to enter upon them here. How shall we ever raise our love up to the height of the doctrine which we have put forth already? The Precious Blood is God’s daily gift, nay, rather we might call it His incessant gift to us. For, if grace is coming to us incessantly, save when we sleep, it comes to us in view of the Precious Blood, and because of it. But who can estimate the wonderfulness of such a gift? It is the Blood of God. It is not the giving to us of new hearts, or of immensely increased powers, or of the ability to work miracles and raise the dead. It is not the bestowing upon us of angelic natures. It is something of far greater price than all this would be. It is the Blood of God. It is the created life of the Uncreated. It is a human fountain opened as it were in the very centre of the Divine Nature. It is a finite thing, with a known origin and an ascertained date, of a price as infinite as the Divine Person Who has assumed it. To us creatures the adorable majesty of the Undivided Trinity is an inexhaustible treasure-house of gifts. They are poured out upon us in the most lavish prodigality, and with the most affecting display of love. They are beautiful beyond compare; and they are endlessly diversified, yet endlessly adapted to the singularities of each heart and soul. Yet what gift do the Divine Persons give us, which has more of Their Own sweetness in it, than the Precious Blood? It has in it that yearning and tenderness which belong to the power of the Father, that magnificent prodigality which marks the wisdom of the Son and that refreshing fire which characterizes the love of the Holy Ghost. It is also a revelation to us of the character of God. Nothing on earth tells us so much of Him, or tells it so plainly and so endearingly. 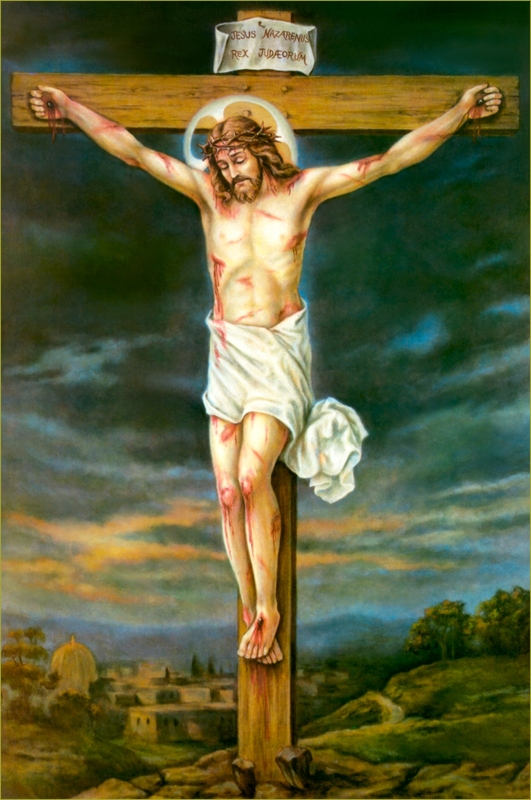 How adorable must be the exactness of His justice, how unattainable the standard of His sanctity, how absorbing the blissful gulfs of His uncreated purity, if the Precious Blood is to be the sole fitting ransom for the sins of men, the one divinely-chosen satisfaction to His outraged Majesty! Yet what a strange wisdom in such an astonishing invention, what an unintelligible condescension, what a mysterious fondness of creative love! The more we meditate upon the Precious Blood, the more strange does it appear as a device of infinite love. While we are really getting to understand it more, our understanding of it appears to grow less. When we see a Divine work at a distance, its dimensions do not seem so colossal as we find them to be in reality when we come nearer. The Precious Blood is such a wonderful revelation of God that it partakes in a measure of his incomprehensibility. But it is also a marvelous revelation of the enormity of sin. Next to a practical knowledge of God, there is nothing which it more concerns us to know and to realize than the exceeding sinfulness of sin. The deeper that knowledge is, the higher will be the fabric of our holiness. Hence a true understanding of the overwhelming guilt and shame of sin is one of God’s greatest gifts. But in reality, this revelation of the sinfulness of sin is only another kind of revelation of God. It is by the height of His perfections that we measure the depths of sin. Its opposition to His unspeakable holiness, the amount of its outrage against His glorious justice, and the intensity of His hatred of it, are manifested by the infinity of the sacrifice which He has required. If we try to picture to ourselves what we should have thought of God and sin if Jesus had not shed His Blood, we shall see what a fountain of heavenly science, what an effulgence of supernatural revelation, the Precious Blood has been to us. No doubt it was partly this power of revelation which made our dearest Lord so impatient to shed His Blood. He longed to make His Father known, and so to increase His Father’s glory. He knew that we must know God in order to love Him, and then that our love of Him would in its turn increase our knowledge of Him. He yearned also with an unutterable love of us; and this also entered into His Heart as another reason for His affectionate impatience. At all events, He has been pleased to reveal Himself to us as impatient to shed His Blood. If habits of meditation and a study of the Gospels have transferred to our souls a true portrait of Jesus as He was on earth, this impatience will seem a very striking mystery. There was ordinarily about our Blessed Lord an atmosphere of quite unearthly calmness. His human will seemed almost without human activity. It lay still in the lap of the will of God. It was revealed to Mary of Agreda that He never exercised choice, except in the choosing of suffering. This one disclosure is enough to give us a complete picture of His inward life. Yet there was an eagerness, a semblance of precipitation, a stimulating desire for the shedding of His Blood, which stand alone and apart in the narrative of His Thirty-three Years. With desire had He desired to communicate with His chosen few in the Blessed Sacrifice of the Mass, wherein His Blood is mystically shed. He shed it in that awful, miraculous reality before He shed it upon Calvary, as if He could not brook the slowness of human cruelty, which did not lay hands upon Him so swiftly as His love desired. He was straitened in Himself by His impatience for His baptism of Blood; and He bedewed the ground at Gethsemane with those priceless drops, as if He could not even wait one night for the violence of Calvary. It seemed as if the relief and satisfaction, which it was to Him to shed His Blood, were almost an alleviation of the bitterness of His Passion. This impatience is in itself a revelation to us of the yearnings of His Sacred Heart. The prodigality, also, with which He shed His Blood, stands alone and apart in His life. He was sparing of His words. He spake seldom, and he spake briefly. The shortness of His Ministry is almost a difficulty to our minds. It was the instinct of His holiness to hide Itself. This was one of the communications of His Divine Nature to His Human. Even His miracles were comparatively few; and He said that His Saints after Him should work greater miracles than His. Yet in the shedding of His Blood He was spendthrift, prodigal, wasteful. As His impatience to shed it represents to us the adorable impetuosity of the Most Holy Trinity to communicate Himself to His creatures, so His prodigality in shedding it shadows forth the exuberant magnificence and liberality of God. During the triduo of His Passion He shed it in all manner of places and in all manner of ways; and He continued to shed it even after He was dead, as if He could not rest until the last drop had been poured out for the creatures whom He so incomprehensibly loved. Yet, while He thus carelessly, or rather purposely, parted with it, how He must have loved His Precious Blood! What loves are there on earth to be compared with the love of His Divine Nature for His Human Nature, or the love of His ever-blessed Soul for His Body? Moreover, He must have loved His Blood with a peculiar love, because it was the specially appointed ransom of the world. 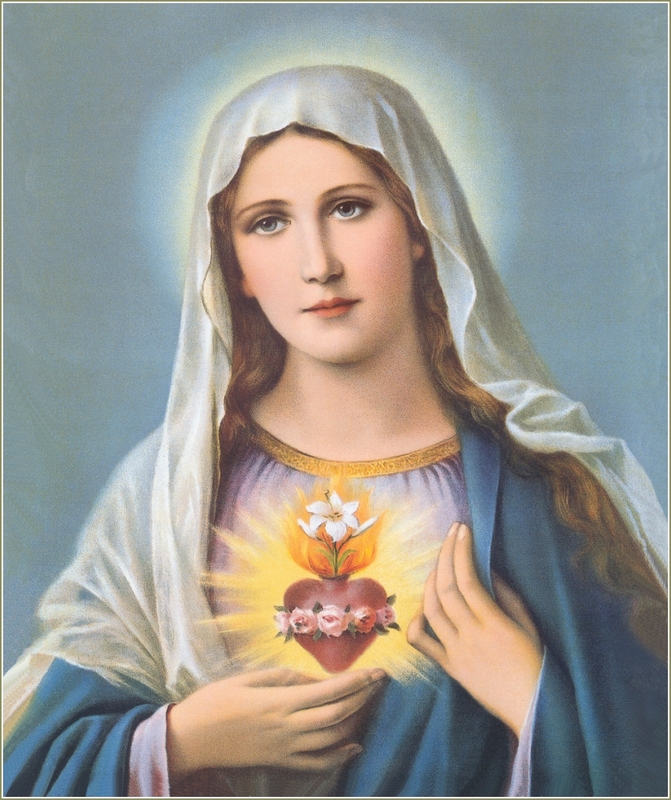 His love of His dearest Mother is the only love which approaches to His love of the Precious Blood; and, rightly considered, is not one love enclosed within the other? He has continued the same prodigality of His Blood in the Church to this day. He foresaw then that He should do so; and it was part of His love of that fountain of our redemption, that He beheld with exquisite delight its ceaseless and abundant flowing through the ages which were yet to come. There is something almost indiscriminate in the generosity of the Precious Blood. It is poured in oceans over the world, bathing more souls than it seems to have been meant for, only that in truth it was meant for all. It appears not to regard the probabilities of its being used, or appreciated, or welcomed. It goes in floods through the seven mighty channels of the Sacraments. It breaks their bounds, as if they could not contain the impetuosity of its torrents. It lies like a superincumbent ocean of sanctifying grace over the Church. It runs over in profuse excess, and irrigates even the deserts which lie outside the Church. It goes to sinners as well as Saints. Nay, it even looks as if it had a propension and attraction to sinners more than to other men. It is falling forever like a copious fiery rain upon the lukewarm. It rests on the souls of hardened apostates, as if it hoped to sink in in time. Its miraculous action in the Church is literally incessant. In the Sacraments, in separate graces, in hourly conversions, in multiplied death-beds, in releases from Purgatory every moment, in countless augmentations of grace in countless souls, in far-off indistinguishable preludes and drawings toward the faith, this most dear Blood of Jesus is the manifold life of the world. Every pulse which beats in it is an intense jubilee to Him. It is forever setting Him on fire with fresh love of us His creatures. It is forever filling Him with a new and incredible gladness, which we cannot think of without amazement and adoration. Oh that He would give us one spark of that immense love of His Precious Blood which He Himself is feeling so blissfully this hour in Heaven! Such is the mystery of the Precious Blood. It makes the poor fallen earth more beautiful than the Paradise of old. Its streams are winding their way everywhere all over the earth. The rivers of Eden are not to be compared to them for fruitfulness. Poets have loved the music of the mountain stream, as it tinkled down the hills amidst the stones or murmured under leafy shades. Scripture speaks of the Voice of God as the voice of many waters. So is it with the Precious Blood. It has a voice which God hears, speaking better things than the blood of Abel, more than restoring to him again the lost music of his primeval creation. In our ears also does it murmur sweetly, evermore and evermore, in sorrows, in absolutions, in communions, in sermons, and in all holy joys. It will never leave us now. For at last, when it has led us to the brink of Heaven, and when, in the boundless far-flashing magnificence, the steadfast splendors and unfathomable depths of the Uncreated joy of God lie out before us, ocean-like and infinite, that Blood will still flow around us, and sing to us beyond angelic skill, with a voice like that of Jesus, which when once heard is never to be forgotten, that word of Him whose Heart’s Blood it is, Well done, thou good and faithful servant! enter thou into the joy of thy Lord! What is the life in Heaven, but an everlasting Te Deum before the Face of God? But there also, as now in our Te Deum upon earth, we shall have a special joy, a special moving of our love, when we call ourselves “redeemed with Precious Blood”; and, as we do now in church, so there in the innermost courts of our Father’s House, we shall only say the words upon our knees, with a separate gladness, and a separate depth of adoration. This entry was posted in Catholic, Precious Blood of Jesus and tagged Catholic on July 25, 2015 by damselofthefaith. The whole of the Precious Blood is in the Chalice and in the Host. It is not part: it is the whole. We may well tremble to think what sanctuaries we are when the Blessed Sacrament is within us. Let us think again of the innumerable stars. Let us multiply their actual millions by millions of imaginary millions more. Let us suppose them all to be densely inhabited for countless ages by races of fallen beings. We have no figures to show the numbers of the individual souls, still less to represent the multiplied acts of sin of all those single souls or spirits. But we know this, that one drop of the thousands of drops of the Precious Blood in the glorified Body of Jesus would have been more than sufficient to cleanse all those countless fallen creations, and to absolve every separate sinner from every one of his multitudinous sins. Nay, that one drop would have given out all those worlds of redeeming grace, and yet no tittle of its treasures would be spent. The worth of one drop of the Precious Blood is simply infinite; consequently, no imaginary arithmetic of possible creations will convey any adequate idea of its overwhelming magnificence. Alas! the very copiousness of our redemption makes our view of it less clear. The very crowding of God’s love causes it to have something indistinguishable about it. Who does not see that it will take us an eternity to learn Jesus, or rather that we shall never learn Him, but that the endless work of learning Him will be the gladness of our eternity? But this is not all the mystery. It was no necessity which drove God to the redemption of the world by the Precious Blood. He might have redeemed it in unnumbered other ways. There is no limit to His power, no exhaustion of His wisdom. He might have reconciled the forgiveness of sin with His stainless sanctity by many inventions of which neither we nor the Angels can so much as dream. There are vastnesses in Him Who is incomprehensible, of the existence of which we have no suspicion. He could have saved us without Jesus, according to the absoluteness of His power. All salvation must be dear: yet who can dream of a salvation which should seem at once so worthy of God and so endearing to man as our present salvation through Jesus Christ? Even then our dearest Lord need not have shed His Blood. There was no compulsion in the Blood-shedding. One tear of His, one momentary sigh, one uplifted look to His Father’s throne, would have been sufficient, if the Three Divine Persons had so pleased. The shedding of His Blood was part of the freedom of His love. It was, in some mysterious reality, the way of redemption most worthy of His blessed majesty, and also the way most likely to provoke the love of men. How often has God taken the ways of our hearts as the measure of His Own ways! How often does He let His glory and our love seem to be different things, and then leave Himself and go after us! The Precious Blood is invisible. Yet nothing in creation is half so potent. It is everywhere, practically everywhere, although it is not omnipresent. It becomes visible in the fruits of grace. It will become more visible in the splendors of glory. But it will itself be visible in Heaven in our Lord’s glorified Body as in crystalline vases of incomparable refulgence. It belongs to Him, the Second Person of the Most Holy Trinity, although its work is the work of the whole Trinity. In its efficacy and operation it is the most complete and most wonderful of all revelations of the Divine Perfections. The power, the wisdom, the goodness, the justice, the sanctity, of God, are most pre-eminently illustrated by the working of this Precious Blood. These are the first thoughts which strike us about the Precious Blood. They are the ordinary considerations which our faith has made familiar to us. We shall have to return to them again in a different connection; and upon some of them we must enlarge in another place. A minuter acquaintance with Christian doctrine teaches us much more. Some little of this much must be introduced here for the sake of clearness and in order that we may better understand what has to follow. The Precious Blood was assumed directly to our Blessed Lord’s Divine Person from His Immaculate Mother. It was not taken merely to his Body, so that His Body was directly assumed to the Person of the Word, and His Blood only indirectly or mediately as part of His Body. The Blood, which was the predetermined price of our redemption, rested directly and immediately on the Divine Person, and thus entered into the very highest and most unspeakable degree of the Hypostatic Union – if we may speak of degrees in such an adorably simple mystery. It was not merely a concomitant of the Flesh, an inseparable accident of the Body. The Blood itself, as Blood, was assumed directly by the Second Person of the Holy Trinity. It came also from Mary’s blood. Mary’s blood was the material out of which the Holy Ghost, the Third Person of the Most Holy Trinity, the artificer of the Sacred Humanity, fashioned the Blood of Jesus. Here we see how needful to the joy and gladness of our devotion is the doctrine of the Immaculate Conception. Who could bear to think that the matter of the Precious Blood had ever been itself corrupted with the taint of sin, that it had once been part of the devil’s kingdom, that what was to supply the free price of our redemption was once enslaved to God’s darkest, foulest enemy? Is it not indeed an endless daily jubilee to us, that the Church has laid upon us as an article of our faith that sweet truth which the instincts of our devotion had so long made a real part of our belief? Moreover, there is some portion of the Precious Blood which once was Mary’s own blood, and which remains still in our Blessed Lord, incredibly exalted by its union with his Divine Person, yet still the same. This portion of Himself, it is piously believed, has not been allowed to undergo the usual changes of human substance. At this moment in Heaven He retains something which once was His Mother’s, and which is possibly visible, as such, to the Saints and Angels. He vouchsafed at Mass to show to St. Ignatius the very part of the Host which had once belonged to the substance of Mary. It may have a distinct and singular beauty in Heaven, where by His compassion it may one day be our blessed lot to see it and adore it. But, with the exception of this portion of it, the Precious Blood was a growing thing. It increased daily, as He increased in size and age. It was nourished from His Mother’s breast. It was fed from the earthly food which He condescended to take. During His three-and-thirty years it received thousands of increments and augmentations. But each one of those augmentations was assumed directly to His Divine Person. It was not merely diluted by that which had existed before. It did not share in the Hypostatic Union in any lower degree. The last drop of Blood made in Him by the laws of human life, perhaps while He was hanging on the Cross, was equally exalted, equally Divine, equally adorable, with the first priceless drops which He drew from his Blessed Mother. Our dearest Lord was full and true Man. He was flesh of our flesh, and bone of our bone; and His incomparable Soul, although it was incomparable, was simply and veritably a human soul. Every thing in His human substance was so exalted by its union with His Divine Person as to be adorable. Yet it was only His Blood which was to redeem the world; and it was only His Blood as shed which was to do so, and it was only His Blood as shed in death which could be the price of our redemption. The Blood shed at the Circumcision was adorable. The Blood shed in Gethsemane was adorable. If it be true, as some contemplatives have seen in vision, that He sweated Blood at various times in His Infancy because of His sight of sin and of His Father’s anger, that Blood also was adorable. But it was the Blood shed upon the Cross, or at least the Blood shed in the process of dying, which was the ransom of our sins. Throughout the whole of the triduo of the Passion, all His Blood, wherever it had been shed and wherever it was sprinkled, remained assumed to His Divinity, in union with His Divine Person, just as His soulless Body did, and therefore was to be worshiped with Divine worship, with the same adoration as the living and eternal God. At the Resurrection, when His Precious Blood had been collected by the ministry of the Angels, and He united it once more to His Body as He rose, some of it remained unassumed. This perhaps was for the consolation of His Mother, or for the enriching of the Church with the most inestimable of relics. This was the case with the Blood on the veil of Veronica, on the holy Winding-Sheet, on some portions of the Cross, and on the Thorns and Nails. But this Blood, which was not reassumed at the Resurrection, instantly lost its union with His Divine Person, ceased to be what is strictly called the Precious Blood, lost its right to absolute adoration, and became only an intensely holy relic, to be venerated with a very high worship, but not to be worshiped as Divine or adored as the Blood of God. It was no longer part of Himself. But the Blood in the chalice is the Blood of the living Jesus in Heaven. It is the Blood shed in the Passion, reassumed at the Resurrection, borne up to Heaven in the Ascension, placed at the Right Hand of the Father there in its consummate glory and beautified immortality. Thus it is the very Blood of God; and it is the whole of it, containing that portion which He had originally assumed from Mary. This entry was posted in Catholic, Precious Blood of Jesus and tagged Catholic on July 23, 2015 by damselofthefaith. The Novus Ordo Priests should at least be praised when they do something Catholic I’d say, and this Priest must be coming under much fire for doing something that any Priest would do when the Church was not being ravaged by the greatest crisis in her history. You know things are bad in the Church when this is a piece of news. Reverence and Adoration are due to Our Lord in the Blessed Sacrament. St. Cyprian even says it is a sin not to adore the Holy Eucharist. It is a sad state of affairs in the Church when there is so very little love for God in the Eucharist that the simple act of the creature protecting the Creator under such humble appearances of bread and wine becomes news. Martyrs laid down their lives for this very reason, to protect Our Lord from sacrilege and profanation. St. Tarcisius comes to mind. In this case, the man is in a state of manifest mortal sin because he is in a homosexual “marriage” which can be proven in the obituary for the man’s mother, as the article says. This man is to be refused Holy Communion, lest he eat and drink judgment to himself. Any true Catholic would believe this and those who don’t are not Catholic, if they are that careless concerning Our Lord’s Precious Body. The Holy Eucharist isn’t a free for all or a piece of bread. Not only sodomites, but all in the state of mortal sin must be refused Communion and that includes adulterers, cohabitators, the divorced and remarried, etc. It is no wonder that Catholics don’t believe that the Eucharist is the Body and Blood of Our Lord when He is only treated like a piece of bread or as some sort of treat to be given out at one’s good pleasure. The Holy Eucharist is God, before Whom Angels and Saints bow before in humble adoration in the Kingdom of Heaven and we, wretched creatures, dare to subject him to our wills and our selfish pride! Clearly, the Diocese does not believe that those who eat and drink the Holy Eucharist unworthily, eat and drink judgment to themselves. Those who receive Holy Communion in the state of mortal sin murder Our Lord anew. Receiving Holy Communion in the state of mortal sin is not only a crime but an act of utter hypocrisy, for they pretend to be worthy to receive, yet they do not deceive God. Judas betrayed Our Lord with a kiss, but the unworthy Communicant betrays Our Lord by handing His very person in the Blessed Eucharist over to Satan, who reigns in their souls. God bless Fr. Mark Beard for defending the Blessed Sacrament from profanation and also, for his act of charity for this man’s soul by now allowing him to profane God. May all Priests likewise follow his example by doing their God-given duty of protecting the Holy Eucharist and sanctifying souls. This entry was posted in Apostasy, Church crisis and tagged apostasy, Catholic, Crisis in the Church on July 21, 2015 by damselofthefaith.